When it comes to driving, nobody’s perfect, and everybody can use a refresher or two every once in a while. A Defensive Driving Course aims to prevent accidents by helping increase your knowledge of the road, increase your awareness of other drivers, and become a safer, more responsible driver. This 6-hour course can earn you (principal vehicle operator) a 10% discount on collision, liability and no-fault insurance discounts which are good for 3 years. Completion of the course can also earn you up to 4 points on your driver’s license record (points may be reduced only once in an 18-month period). 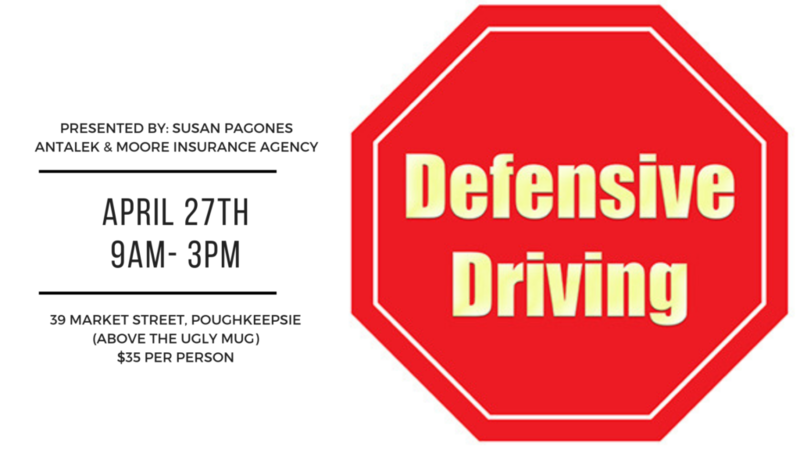 OUR INSTRUCTOR: SUSAN PAGONES, Executive Partner here at Antalek & Moore, is a NYS Certified Defensive Driving Instructor. She will not only give you a refresher on things you may have forgotten but also help you learn about new laws and regulations in NYS. Not all courses are created equal! Susan structures her courses to keep them engaging and informative. She uses real-life situations and example to help you get the most out of your time. Pre-registration is required so be sure to contact us today to reserve your spot! Only $35 per person.